Mark Weeks proudly serves as City Marshal of DeFuniak Springs since 2009, when city voters first elected him to the position. Voters reelected Mark in both 2011 and 2015. Before his election, Mark served as both Assistant City Marshal and Supervisor in charge of the DeFuniak Springs Police Department. A veteran lawman, Mark Weeks has spent his entire working lifetime successfully fighting crime and protecting families from drugs and the people who sell them. He has 24 years of experience in law enforcement serving at all levels and in both local and state agencies. 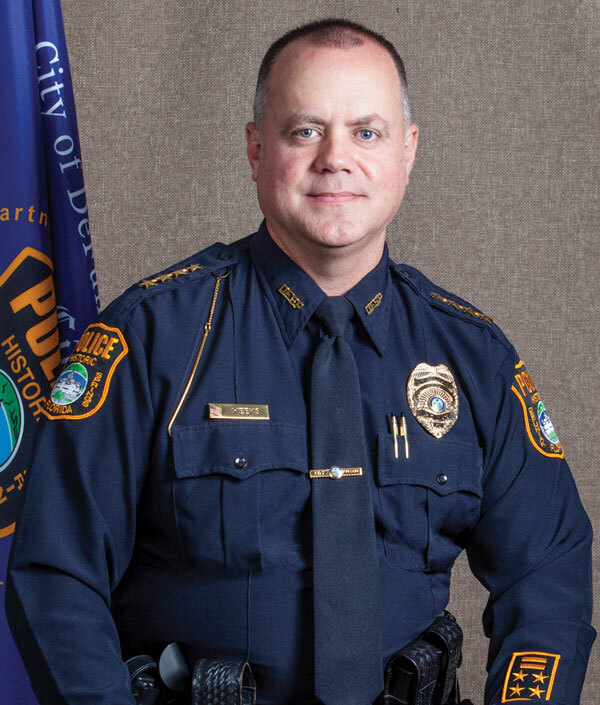 Mark began his law enforcement career patrolling our roadways before earning positions of leadership where he gained valuable experience managing a law enforcement agency, leading its staff, and administering large budgets and taxpayer funds. Mark has a remarkable record of service as both a local crimefighter and trustee of our public funds. Over the past four years, Mark’s strategic plan to crush crime has resulted in a 61% decrease in the total crime rate (source: FDLE, 2014-2017 Uniform Crime Reports, most recent year-ending reports available). Today, Mark is focusing on locking up meth dealers in the city. With meth becoming an epidemic in small towns across the South, Mark won’t rest until he has eradicated meth—and those who sell it—from our community. Mark has proven himself to be a true fiscal conservative. He protects our tax dollars in the same manner he protects our children and families: Always vigilant, always resolute. Mark has saved taxpayers almost one million dollars in additional taxes since taking office in 2009. As City Marshal, he is responsible for returning more than $950,000 to the city in unspent funds from his annual budgets. Mark takes an active role in our community’s public safety and meets daily with citizens, local business and property owners, civic organizations, church leaders and others. What’s more, Mark is one of the remaining few police chiefs who still believe in the value of walking a beat. Mark can regularly be seen walking his beat in downtown DeFuniak Springs. Mark is raising three daughters here with wife, Cherelle, Director of First Christian Academy in DeFuniak Springs. Their daughters are Abigail, age 15, Allison, age 12, and Audrey, age 9. Mark is a member of DeFuniak Springs First Baptist Church and Kiwanis Club. He serves on the Board of Directors for Christmas Reflections and is a youth baseball volunteer and former assistant coach for Walton County Recreational Soccer. Mark is a member of the International Association of Chiefs of Police (IACP), Florida Police Chief’s Association (FPCA), and NRA.